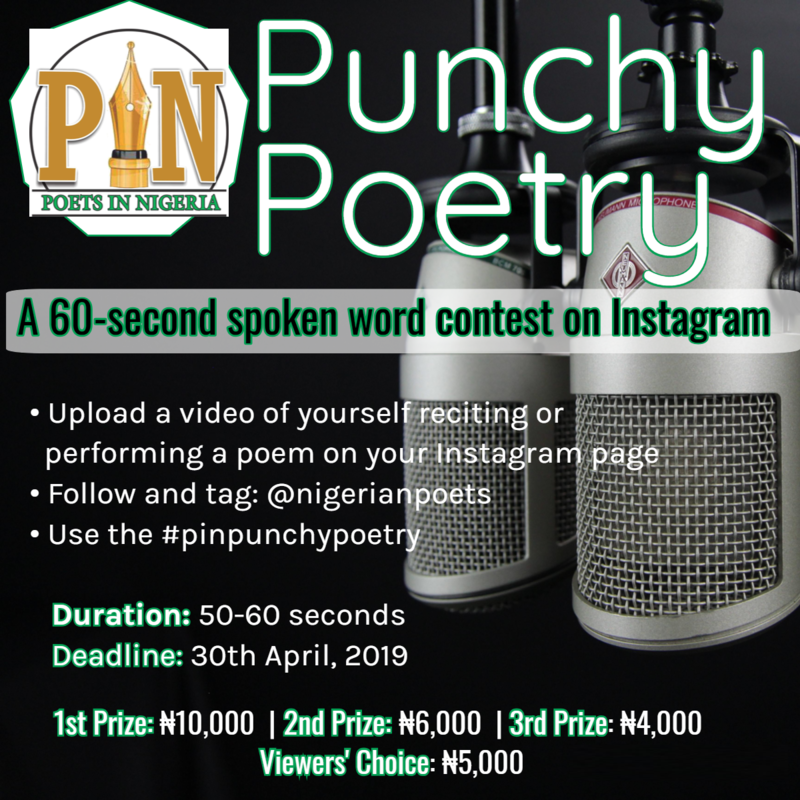 Poets in Nigeria (PIN) is delighted to announce the commencement of the 2nd edition of PIN Punchy Poetry. • Upload a video of yourself reciting/performing a poem on your Instagram Page. Note: The contest is open to all irrespective of location, and closes on 30th April, 2019. To give room for the appreciation of works not adjudged the best by our judges, shortlisted videos will be uploaded on our Instagram Page, and the video with the highest likes awarded the Viewers’ Choice Prize – N5,000 airtime.